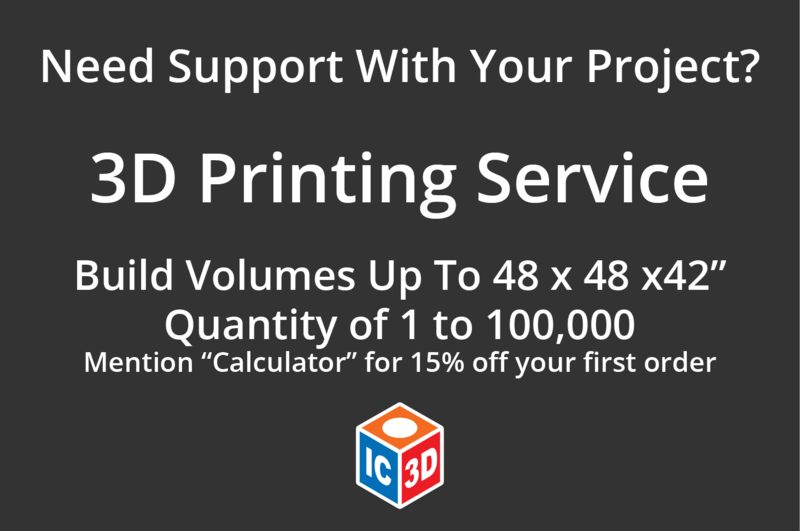 We created this little calculator for our friends who run 3D printer farms in their garage as a side business. It’s a quick way to give your customer a quote on a job. The “cost per hour” field lets you easily play with what you want to charge for printing time. As a fun thing to do, try inputting different costs for “cheap” filament vs. “expensive” filament. Then, try adding 30 mins to the “job time” to simulate having to unclog a jammed extruder / hot-end for using cheap filament and check out the difference in final cost. This is why we put more time and energy into quality over cost. Please enter the amount of filament and the estimated job time below. Optionally, enter your own filament cost and your hourly rate.